Michael Palmer is a creative freelance web and print designer with 10 years of commercial design experience. 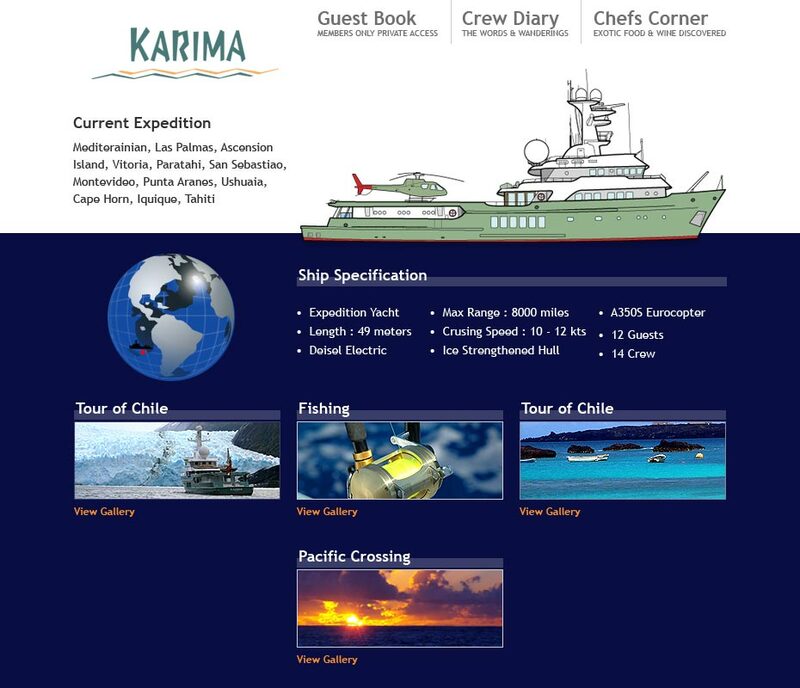 Karima is a privately owned yacht that sails all around the globe. 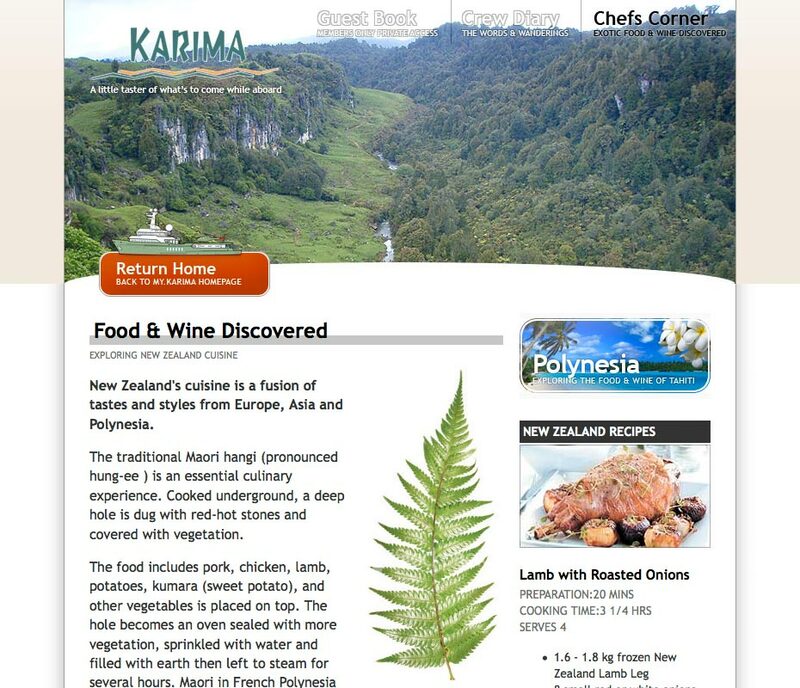 They wanted a website that would allow the crew to stay in touch with friends and family back home as well as showing off some of their exploits and adventures. An amazing project and a trip of a lifetime. Built aboard the yacht during a delivery from Chile to Tahiti, there was a broadband satellite connection for most of the 4 week journey. 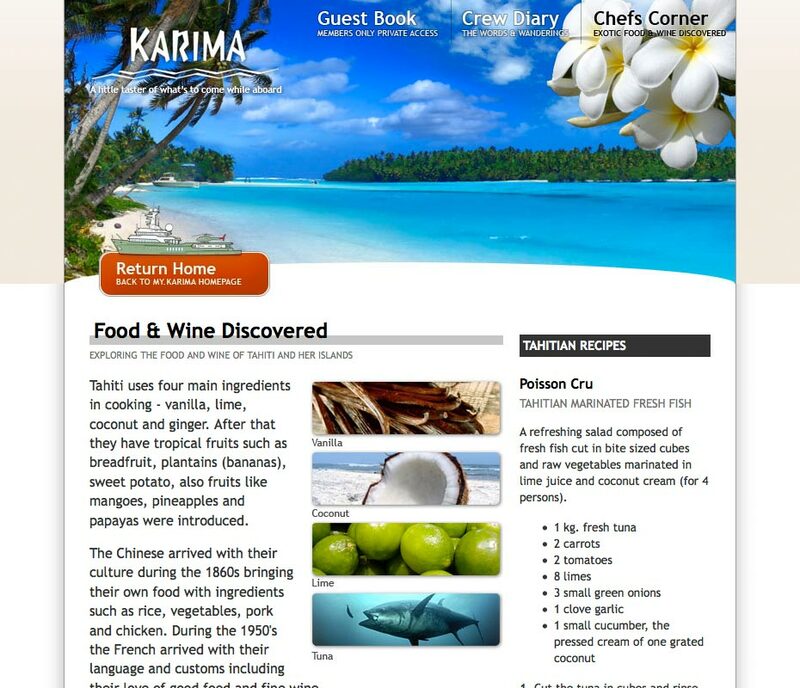 There were four parts to the build of the website – a public WordPress blog, flash photo galleries, a private WordPress blog and a bespoke chefs corner. Also created a visual identity of the boat to be used on a range of printed materials and clothing. Well technically I'm booked solid BUT I am always interested to hear about new projects and curious design challenges. So get in touch and let's start talking.